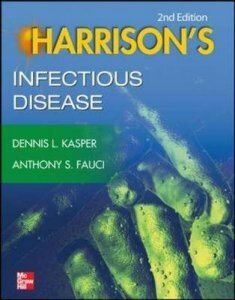 Infectious Diseases - as only Harrison's can cover it. 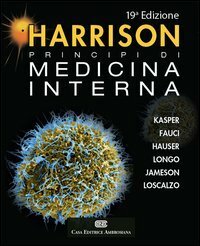 Featuring a superb compilation of chapters related to infectious diseases that appear in "Harrison's Principles of Internal Medicine, Eighteenth Edition", this concise, full-color clinical companion delivers the latest knowledge in the field backed by the scientific rigor and authority that have defined Harrison's. 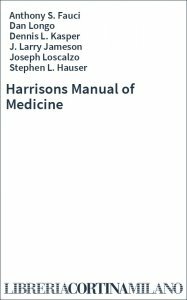 You will find content from renowned editors and contributors in a carry-anywhere presentation that is ideal for the classroom, clinic, ward, or exam/certification preparation. 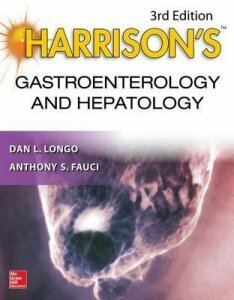 It features: current, complete coverage of need-to-know topics, including infections in organ systems, bacterial infections, viral infections, prion diseases, fungal infections, and protozoal infections; Addresses underlying epidemiologic, pathophysiologic, and genetic factors; important material on HIV infections and AIDS by Anthony S. Fauci and H. Clifford Lane; two image-based chapters comprise atlases valuable to clinical assessment: rashes associated with fever and blood smears of the various stages of the parasites causing malaria and babesiosis; integration of pathophysiology with clinical management. 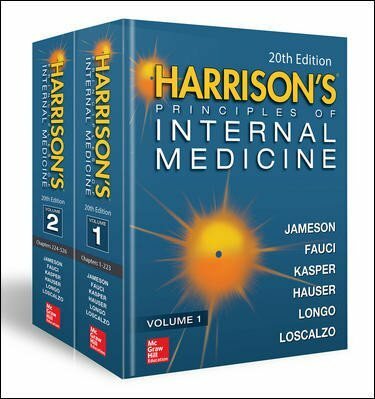 121 high-yield questions and answers drawn from "Harrison's Principles of Internal Medicine Self-Assessment and Board Review, 18e"; content updates and new developments since the publication of "Harrison's Principles of Internal Medicine, 18e"; 132 chapters written by physicians who are recognized experts in the field of infectious diseases; and helpful appendix of laboratory values of clinical importance. 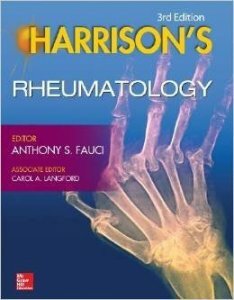 Rheumatology - as only Harrison's can cover it. 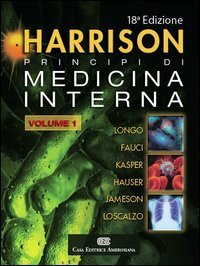 Featuring a superb compilation of chapters on rheumatology that appear in "Harrison's Principles of Internal Medicine, Eighteenth Edition", this concise, full-color clinical companion delivers the latest knowledge in the field backed by the scientific rigor and authority that have defined Harrison's. 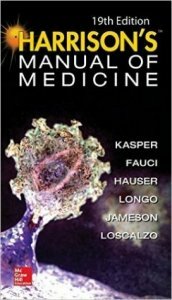 You will find content from renowned editors and contributors in a carry-anywhere presentation that is ideal for the classroom, clinic, ward, or exam/certification preparation. 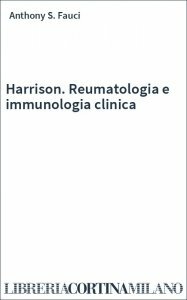 It features: current, thorough coverage of important immunology and rheumatology topics, including the immune system in health and disease, disorders of immune-mediated injury, and disorders of the joints and adjacent tissues; delivers insights designed to reduce pain, lesson joint and organ damage, and improve overall patient outcomes; integrates pathophysiology with clinical management. 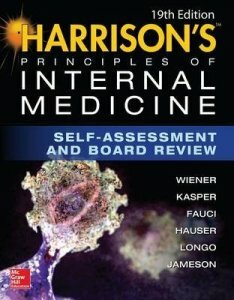 75 high-yield questions and answers drawn from "Harrison's Principles of Internal Medicine Self-Assessment and Board Review, 18e"; content updates and new developments since the publication of "Harrison's Principles of Internal Medicine, 18e"; 24 chapters written by physicians who are recognized experts in the field of rheumatology; and helpful appendix of laboratory values of clinical importance. 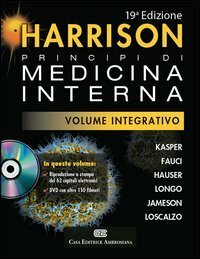 Harrison. 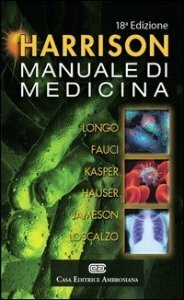 Principi di medicina interna - 18 ed.